Orisirisi shares the beauty of African life and culture through storytelling. Mark your calendar for afternoons of the Big Band sounds of Prime Time Music under the direction of Phil Axelband and Joey Milleti. David F. ‘Dusty’ Drew, III, 76, of Stuart, Florida, and Standish, Maine, died on January 31, 2019. William C. Regelmann, age 91, passed from this earth on Feb. 3, 2019. Jacob J. Branen, 29, was killed Monday, Feb. 4 when struck by a vehicle while he was walking home from work in Daytona Beach, FL. Terry Daverio passed away on February 06, 2019. Join the Jupiter Recreation Department for a FREE outdoor movie series at Abacoa Community Park fields! Richard C. Leslie, 65 of Stuart, Florida passed away on Wednesday February 13, 2019. Our beloved Michele Irene Maurice joined our Lord on February 12, 2019. Robert passed on Monday, February 11, 2019 in Stuart, Florida at the age of 89. Major Paul Russell Hunter, USMC, retired, 92, of Jensen Beach, Florida, died on February 12, 2019. 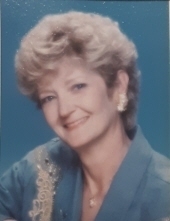 Marion Dorothy Latwinas, 78, of Strathmere, NJ, and Stuart, FL passed away on Thursday, February 14, 2019. UF/IFAS Extension Martin County will be hosting the 2019 New Technologies for Commercial Crop Production via Zoom webinar on February 26, 2019, 9 am to 4 pm, in Stuart. 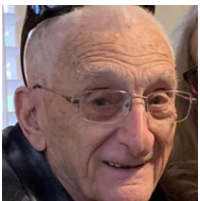 Thomas J. Eisenbraun, 75, of Port St. Lucie, FL, passed away under the tender loving care of Hospice of the Treasure Coast on February 18th, 2019.